Please join us this first December Thursday evening for a workshop and talk about packaged cloud solutions that can enable anyone to quickly utilize the power of cloud services in AI (Artificial Intelligence). There are number of cloud computing service platform providers on the market and Microsoft Azure is one of the big ones. 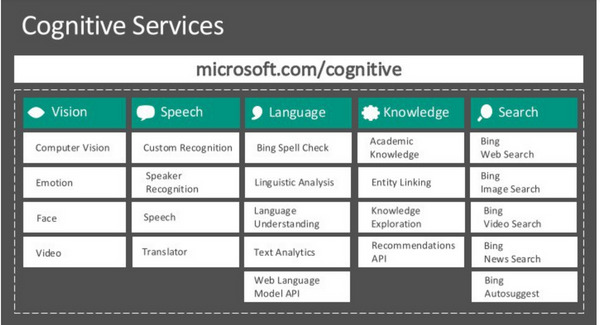 Azure platform offers comprehensive set of flexible AI APIs (Application Programming Interfaces) and services (e.g. cognitive, machine learning and bot) for any scenario and enterprise-grade AI infrastructure (e.g. Apache Spark, Batch AI training, Data Science Virtual Machines etc) that runs AI workloads anywhere and at scale. It is a very useful platform with many AI tools designed for developers and data scientists looking for developing AI solutions easily and with maximum productivity. Workshop tutor and speaker of the evening is forward thinker and maker Zakria Mahmood who is currently writing his master thesis paper on subject “Artificial intelligence in large organizations” at IT University in Copenhagen, Digital Innovation and Management department. Zakria will demonstrate how machine learning techniques and AI can be utilized without writing a single line of code and how to create integrations into existing solutions/systems by using some of Azure APIs e.g. Face Recognition and Text Analytics APIs. You will need your laptop for this event. Pre-preparation instructions for the environment that you need to setup in advance will be announced and e-mailed to you a couple of days before the workshop. We are looking forward to seeing as many of you as possible for this exciting talk and workshop!